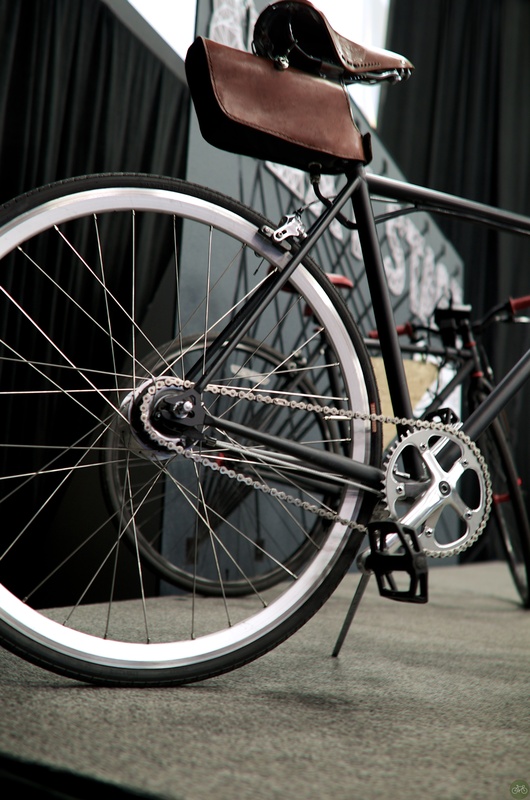 The Sycons spun samples between speaker sets and the audience heard talks about a Raspberry Pi-enabled bike, a cool e-bike, and one made from used cars. Art projects, gaming, and graphic design were also shared. 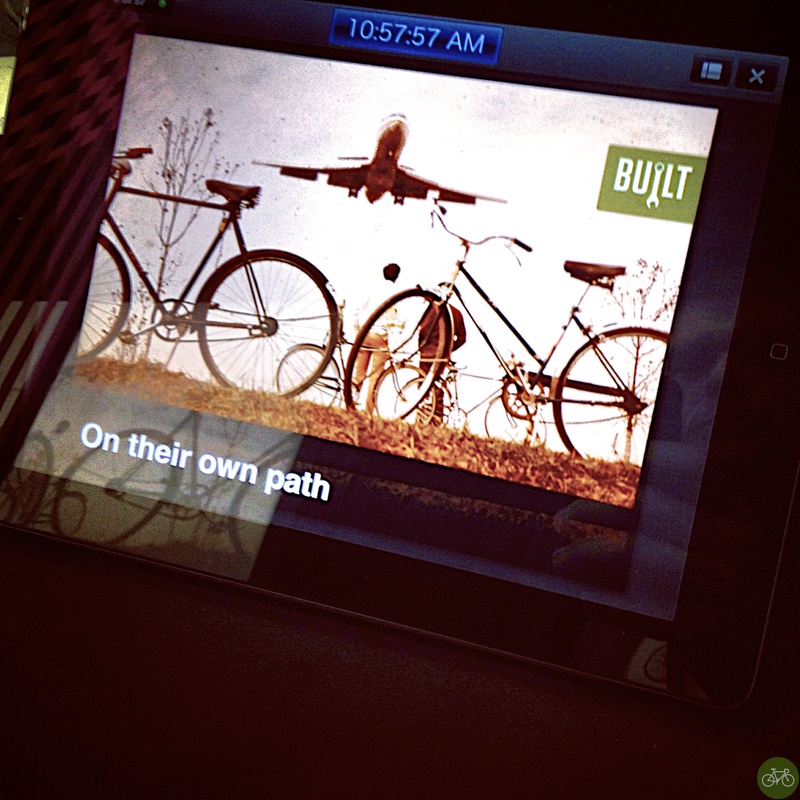 The Built speakers are on their own path and making stuff was the theme of SXSWi this year. Across the street from the fleet of bikes Tern brought to town was the Create tent where they were fabricating chips and more. Near Coyote Ugly, bike geeks meet up too and we saw a micro-weather app. After the talks, a quick stroll around the Expo found the Fukishima Wheel project. That’s a bike with a box of sensors detected and reporting on the world around the bike. In a few years, as digitizers and 3D printers evolve, expect we’ll make a bike on site and ride it in a Mobile Social. After that, maybe a pick your bike for the ride and we’ll make it that day. Whatever the future holds for the creatives, we’re already planning next year in Austin and SXSW. More photos from Built are on G+ and Flickr. Thanks for Hugh for the #pedalsnotpanels idea, Shawn, Morgan, and Eric Wicks for the artwork. Also the speakers. Francisco Cassis of Bicycled, Swarm Collector Creator RobRoy Chalmers, Alternate Reality Storyteller Brian McGaw of Occurrent Arts, DIY Dynamic Headlight Maker Matt Richardson, Graphic Designer Aaron Wood, and Stop Frame Electric Bike Builder George Schnakenberg III of Infinite Collective.